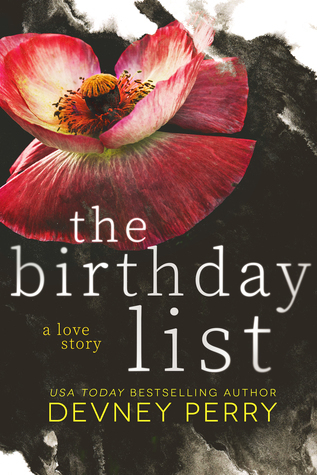 The Birthday List is a heartfelt journey of a grieving wife trying to complete her late husband's birthday list. This is a story of love, loss, grief and moving on. This was a rollercoaster ride of emotions. Ms. Perry breaks your heart in one chapter and has you laughing in the next. The characters were well developed and decisive (which I love). Poppy lost her husband Jamie unexpectedly. Five years later she is still carrying the guilt of that loss as she tries to live her life. At times it felt like Cole was hand picked by Jamie to be Poppy’s next love. This is the first book that I’ve read by Devney Perry. I did enjoy this story but at times I found it to be a bit slow. I understand that there is reason behind the pace but as a reader I personally like things to move a little faster. If you are looking for a book that will pull on your heart strings this is the book for you!